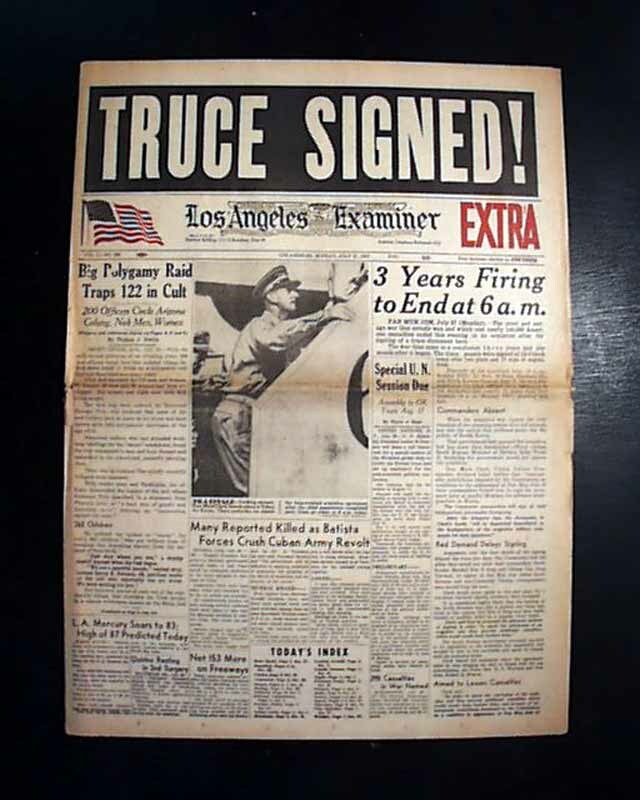 Above the masthead is a bold banner headline dropped out of a black box announcing: "TRUCE SIGNED ! " 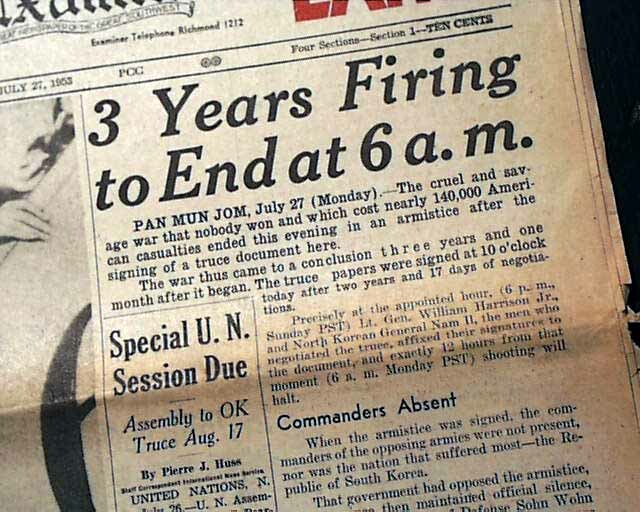 with a related subhead: "3 Years Firing to End at 6 a.m." which announces the end of the Korean War. The ftpg. has a related photo of General Mark Clark. 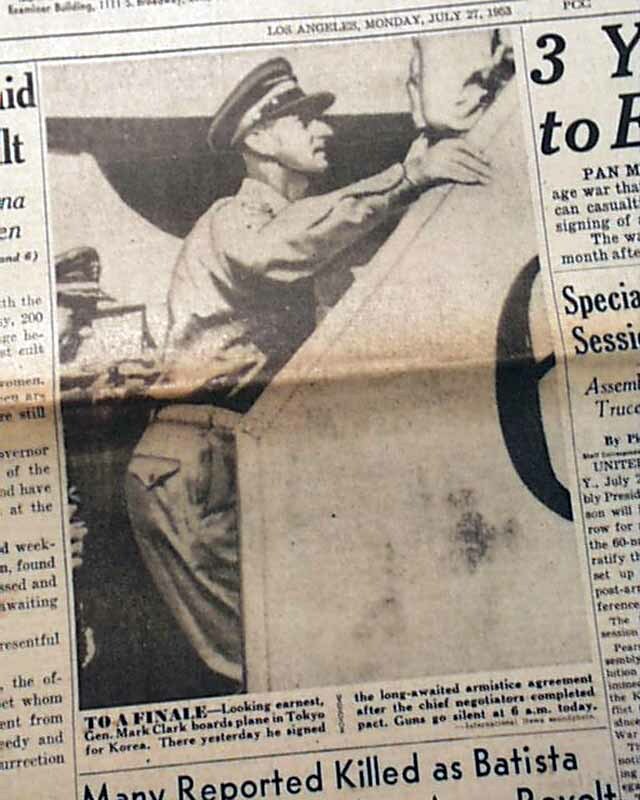 A key issue for any collection of American end-of-war reports. The complete first section (of 4) with 12 pages, a little spine wear, generally nice.